The world was shocked to hear of the passing of Leonard Nimoy this past February. The long-time Trek legend who played the iconic role of Spock had been battling the effects of COPD, otherwise known as chronic obstructive pulmonary disease or more commonly as chronic bronchitis and emphysema, before tragically succumbing. Mr. Nimoy had been a long-time advocate for smoking cessation and for raising public awareness about the dangers of smoking and COPD. 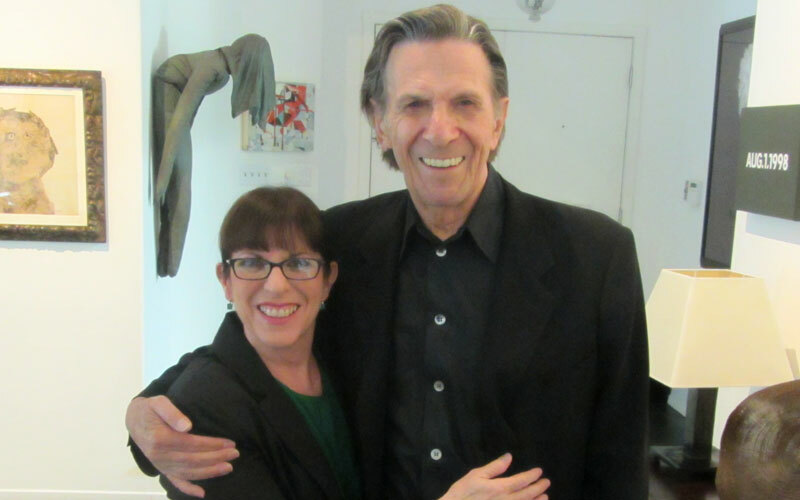 His daughter Julie Nimoy, with her husband David Knight, have recently started a crowdfunding campaign for their new documentary titled “COPD: Highly Illogical – A Special Tribute to Leonard Nimoy” to highlight his legacy as well as his efforts to fight the disease that so tragically took his life. 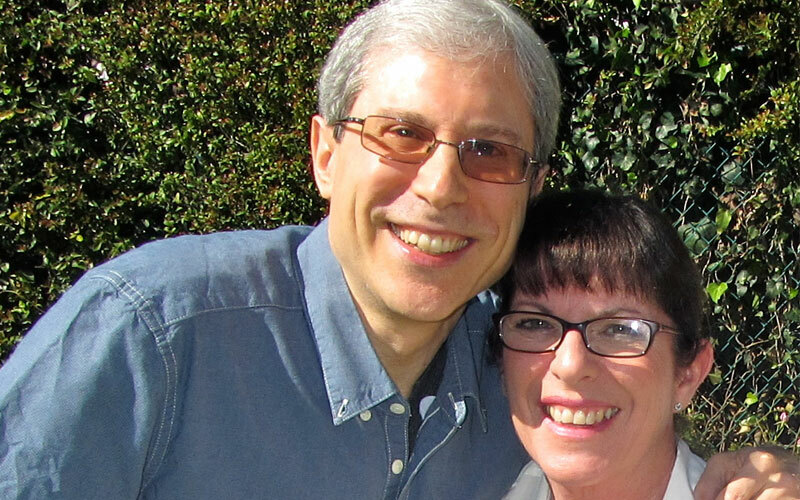 The following is a transcript of TrekNews.net’s exclusive interview with both Ms. Nimoy and her husband. It has been edited for length and clarity. We hope you enjoy and take the time to take their message to heart. 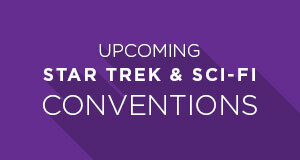 TrekNews.net: I know that TrekNews.net has featured an article about your documentary, “COPD: Highly Illogical”. Can you give us a brief recap on the goals of the documentary? What is your timeline for the crowdfunding campaign and what will the total funding amount accomplish? David Knight: I think the number one goal is education. There are approximately 30 million people that have COPD. It’s currently the third leading cause of death in this country. There are approximately 15 million that have COPD but are unaware of it. We really want to educate people that this is a serious condition, that it is a debilitating condition. If you have a chronic cough, a shortness of breath, these are the indications that you need to see a doctor and get a diagnosis. And once you get a diagnosis, this enables you to get the treatment you need to ensure a better quality of life. 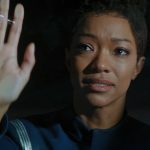 TrekNews.net: I wasn’t aware that the number of untreated individuals was so high. David Knight: It’s very high. The other thing that’s very important was started by Leonard. When he announced he had COPD on Piers Morgan’s CNN show he subsequently became very proactive about COPD. He really encouraged people not to smoke and if you are smoking, to quit. This is the reason why we came up with the title, “Highly Illogical”. There are so many people smoking or people who already have COPD. And despite all the information that’s out there that it is harmful, people are still smoking. So it really is highly illogical. 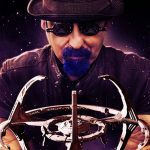 TrekNews.net: I know personally in my life that have that disconnect, that have that cognitive dissonance. David Knight: Yes, that’s true. This is why we want our message to be one of hope as well. You can have the condition, you can be a big smoker. But if you stop, you can do so many things that can really help you manage it. You do have to be proactive and it requires being under a doctor’s care, but you really can function and have a good quality of life. TrekNews.net: Would you say that the biggest misconception about COPD is people not being aware of it and the fact that it is so prevalent? David Knight: I think it’s all of the above. People aren’t aware of it, how prevalent it is, how serious and how to best manage it. 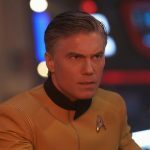 TrekNews.net: That’s actually a great segueway to my next question. You had mentioned that Leonard was an outspoken advocate for COPD. 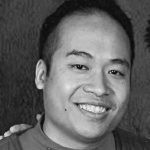 What were his thoughts to the public’s reactions to his advocacy? Did he think he was successful? David Knight: I think so. I think the fact that he continued to post messages about it proved this. He would continuously get messages like “My father…” or “My daughter” or someone that they knew had COPD. He even started with his granddaughter an online store called ShopLLAP.com, which gave away “I Quit” buttons to whomever who purchased from the store. 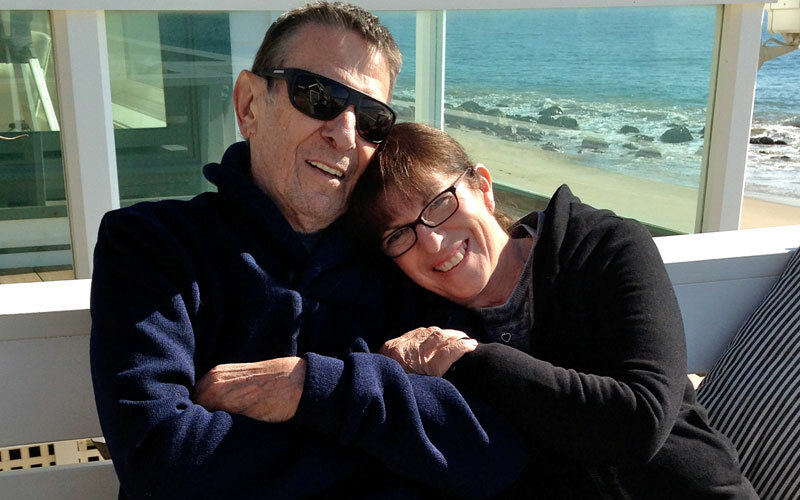 Julie Nimoy: That was really one of the ways he tried to get out the message to people, the message of quitting and of his regret that he didn’t quit sooner. Many people would message him or tweet him telling him that they knew of someone who had this condition. David Knight: Next year is the 50th anniversary of Star Trek and it is our hope that we will have the film completed by the beginning of next year. We’ve currently reached 40% of our goal. But in addition to the production costs, were hoping to have the latest Computer Graphic Images-CGI. We’re in partnership with a company that will produce CGI footage that’ll show exactly what the body looks like on the inside with COPD. These images are spectacular and galvanizing, but they are expensive, which is why need additional funding. TrekNews.net: That sounds really neat as a concept. 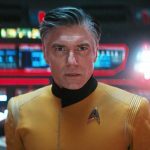 David Knight: It really is, but another additional area of cost as we develop this movie is that we might want to use some Star Trek intellectual property, such as the name “Star Trek” or “Mr. Spock”. As you know, these rights are all owned by CBS and they’re expensive to license out. So we’ve set a budget of $500,000 and we’re still trying to raise another $300,000 approximately. TrekNews.net: When does the campaign end? Julie Nimoy: We’ve set an end date of November 30th, which is a little under 3 months, but we hope to be fully funded by that date. It will also be available as a free download. On our website, copdfilm.com or nimoycopdfilm.com we will provide download links for the movie. TrekNews.net: Have there been other films about COPD? David Knight: This is definitely the first with Leonard, it is a tribute to his legacy in terms of this issue. But in terms of other films about the condition, that’s a good question. I’m not 100% sure, but considering I haven’t heard of any, that just shows you there’s still much more work to be done educating the public. 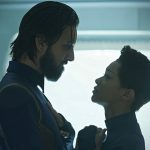 TrekNews.net: Will there be a central narrator for the movie? David Knight: Yes there will be a narrator, we’re in talks to get a close friend of Leonard’s to do it*. Hopefully, we will get others from Star Trek to appear as well. Leonard’s physician will be on, as well as actual patients with COPD. At different points in the film, It will also be stylistically very similar to the movie “Fantastic Voyage”, with featured a small ship entering in and exploring the human body from the inside. *Editor’s Update: As of 9/10, David and Julie have confirmed that none other than John de Lancie (famous for his role as Q) will be narrating! TrekNews.net: What are some other additional details you can tell us? David Knight: The documentary will be at least 60 minutes and we think it would be a perfect fit for programs on the Discovery Channel, National Geographic, and/or The Learning Channel. There’s even a possibility for a limited theatrical release. In addition, we’re planning on having special screenings through out the country. They’re obviously not the same person. My father was a warm, loving, generous, giving, and caring human being. Spock, although he was supposed to not show emotions, he was still half-human. He had moments of expression, love, and care for his comrades on the ship. TrekNews.net: That’s wonderful. I only have one final question. Your brother and Leonard’s son, Adam Nimoy, has recently completed a successful Kickstarter for a documentary called “For the Love of Spock” about the evolution of Spock and the role his father played in shaping that character. Why do you think your father and Spock have remained so fixated in the pop cultural zeitgeist and the public consciousness? Julie Nimoy: I think the reason why both have endured is because of how both the man and the character was portrayed. The type of person he was, how he handled himself. People believe that my father was very similar to Spock, how he handled life situations, how he interacted with people. They’re obviously not the same person. My father was a warm, loving, generous, giving, and caring human being. Spock, although he was supposed to not show emotions, he was still half-human. He had moments of expression, love, and care for his comrades on the ship. There is a balance between Leonard and Spock, but yet there are many similarities there. Julie Nimoy: A good example of how my dad felt about Spock was when he wrote the book “I Am Not Spock”, his biography at the time. At the time, I’m sure he felt that with the series ending, he needed to move away from that character so that he wasn’t typecast. But after a bit of time, he realized, “Why am I fighting this?” So he wrote his next book “I Am Spock” because he truly is. He embraced it. David Knight: Just look at all the subsequent movies. He really cared about the character and protected it. He wanted to always portray Spock in a positive light. 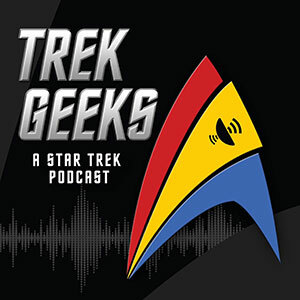 TrekNews.net: Julie and David, thank you so much for taking the time to speak with TrekNews.net and we’re all eagerly awaiting the release of this film. 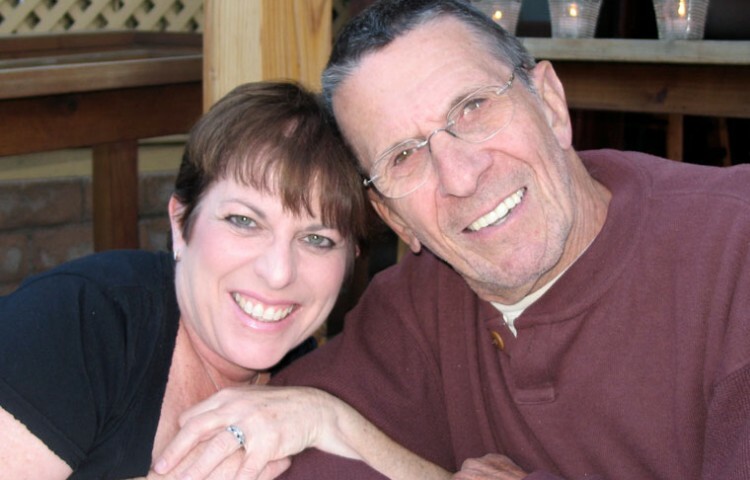 To contribute to the Julie Nimoy and David Knight’s “COPD: Highly Illogical” crowdfunding campaign, visit http://www.firstgiving.com/fundraiser/COPDFilm/Nimoy. Please help out if you can! The fundraiser lasts until November 30th, 2015.